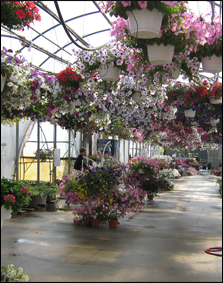 Come in and browse, Creamy Acres Country Store, filled with country home and garden items and gifts. Look for our popular welcome slates and Amish made garden décor along with many one of a kind designs. 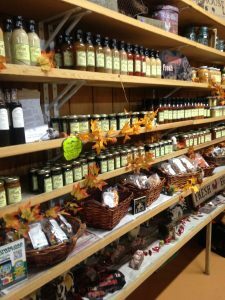 We also have a large variety of Jams, Jellies, BBQ sauces, dressings and Local Honey for you to take home and enjoy. Check out the cooler for Milk(not from our farm) & Farm Fresh Eggs and from our Freezer, Fresh “Grass feed and raised here on the farm” Lincoln Mill Beef. 1lb & 2 lb Hamburger patties, 1lb ground beef. Shop Local and Support your Farmers! 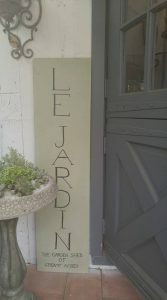 Come and visit us at “ Le Jardin” The Garden Shed of Creamy Acres. 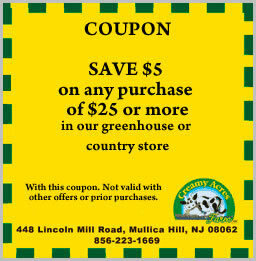 Located on 36 Main St. in Historical Mullica Hill. Le Jardin specializes in our exclusive and original French Country Designs for home and garden, including Terrariums, Succulents and Herbs.